The latest stats seem to show that Sydney’s market is finally slowing – the question is how long will it last and what does it mean for investors? Results from CoreLogic’s June Home Value Index indicate that Sydney’s dwelling price has stayed the same over the past three months and actually fell 1.3 per cent over month of May. However even though there was no overall growth over the last quarter in Sydney, Sydney property values grew 11.1% in the last 12 months. The market is just taking a well deserved breather after its massive run up and price growth is likely to moderate over the balance of this year. Now before we get too excited, it’s pretty common for markets to have a mid-cycle slowdown. First-time buyers have struggled in Sydney more than most given the difficulty of saving a 10 per cent (or more) deposit when median house prices have soared to about $1 million. But the reality is that apartment living has been a part of the Sydney psyche for decades already, so many first home buyers are opting to buy a more affordable unit instead. And the NSW State Government also recently offered a helping financial hand when it announced that stamp duty for first home buyers would be axed from 1 July for properties bought for less than $650,000. Now this policy change is important because it applies to all properties bought by first-timers, rather than just for new properties. It should come as no surprise then that first home buyer activity may strengthen in coming months given this initiative will save many buyers thousands of dollars. Sydney sure has hogged the headlines over recent years with its strong run regularly reported as either a “boom” or a “bubble”. Unfortunately not many journalists also reported the fact that until about 2013, Sydney’s market had recorded very little growth for the best part of a decade. The reasons for its strong four-year run are many and varied and include its strong economy, strong jobs growth, solid population growth, and a massive infrastructure program. In fact, looking ahead, Sydney – and New South Wales more generally – has the lion’s share of major infrastructure projects. Well the State Government’s coffers are overflowing with all the revenue from its strong property market, which thankfully the government is reinvesting in much-needed facilities. If you ask me, over the past year, Sydney’s market has also been underpinned by human emotion as buyers scrambled to get into the market before it was “too late”. But let’s face it, some may find that in the scramble to get into the market they have bought second grade properties or in poor locations and their properties will experience little growth in the short term. If they hold for the long-term, however, they shouldn’t be overly worried because it is Sydney after all. Let me be clear: No one can accurately forecast what will happen next – even though many commentators do try. We just need to remember that no one really picked Sydney’s strong run before it started, just as no one, publicly anyway, forecast the GFC. So instead of guessing where the market might head, let’s look at its fundamentals. 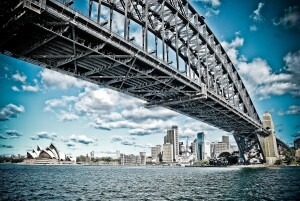 Sydney is Australia’s most populous city that is classified as the nation’s economic engine room. Its population has already hit five million and is forecast to reach eight million people within the next 40 or so years. Geographically it is also constrained by the harbour and the Blue Mountains. Last year Sydney created 54,193 new jobs – almost a third of all the new jobs around the country and Sydney has consistently seen low months of supply over recent years, so the underlying fundamentals are still strong. All of these factors mean that Sydney will remains a strong investment location – but you must ensure you only buy investment grade properties. Now while it does seem the market has slowed down, I believe it has just gone from 5th gear to second gear – not into reverse. But in some locations there is likely to be some softening of prices that were overheated by people buying with their hearts and not their heads. However there is still a shortage of investment grade properties and “A grade” properties for owner occupiers. Regardless of what part of the cycle the Sydney market is in and regardless of what some commentators predict is likely to happen next. If you’re looking to take advantage of the spectacular growth in the Sydney property market and looking for independent advice, no one can help you quite like the independent property investment strategists at Metropole. When you attend our offices in Melbourne, Sydney or Brisbane you will receive a free copy of my latest 2 x DVD program Building Wealth through Property Investment in the new Economy.